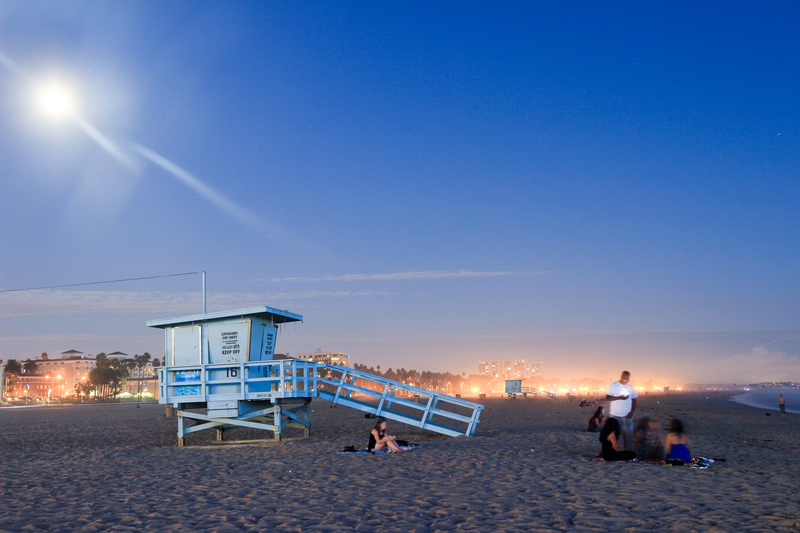 Los Angeles offers an amazing variety of beaches, from boozy to breathtaking. Whether you’re entertaining a partier who wants some cheap shots or a photographer in search of the perfect shot, there’s a $20 beach date for every body! While a walk on the beach is free and romantic (especially at sunset), it also runs the risk of coming off totally cliche. And you’re better than that. 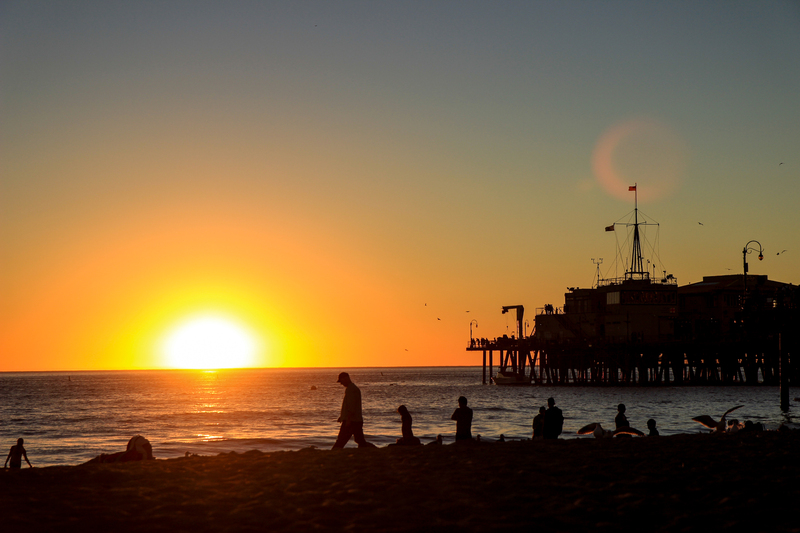 These 5 Los Angeles beaches make it easy to offer a little extra fun in the sun without an extra wad of cash. Each of these beaches offers its own unique spin on a day at the beach. Did your fave beach date make the list? Perfect for… releasing your inner child. Practically every beach has a pier. But Santa Monica beach has THE PIER. 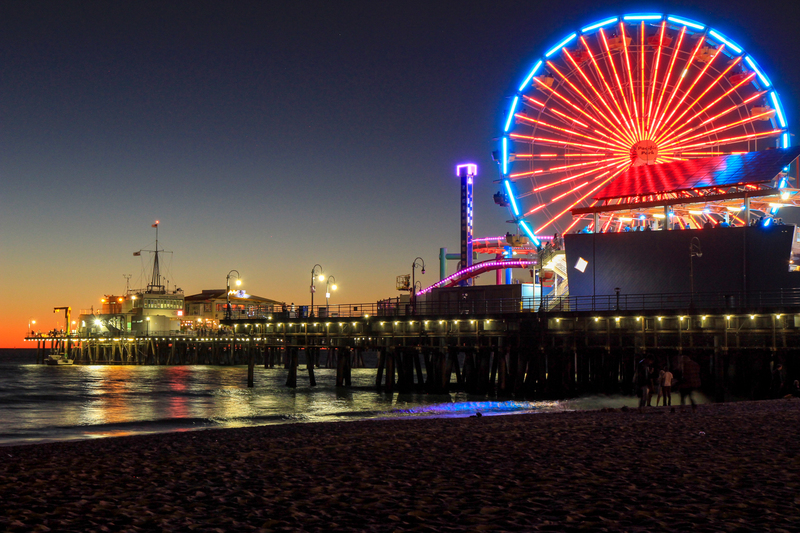 If you haven’t been to the Santa Monica Pier (aka Pacific Park), you’ve probably already seen it… or scene it… in movie scene. This pier’s been featured in featured films like Forrest Gump, A Night at the Roxbury and even Titanic. If you’re as competitive as I am, you’ll love challenging your date to some old school carnival games at Pacific Park. Just make sure at least one of you has space in your apartment for a 6ft stuffed bear. The Pier is also home to one of the most famous ferris wheels this side of the pond. Is there anything more romantic than watching the sunset over the water high above the glow of neon lights? Ehh… maybe not if you’re afraid of heights. Just take a note from Leo’s book, grab your date’s hand and never let go, Jack. Get ready for the ride of your life on this Santa Monica beach date. Perfect for… the low-maintenance libation lover. If you’re a bar-hopping, bike-riding, beer-lover, you’ve found your beach. 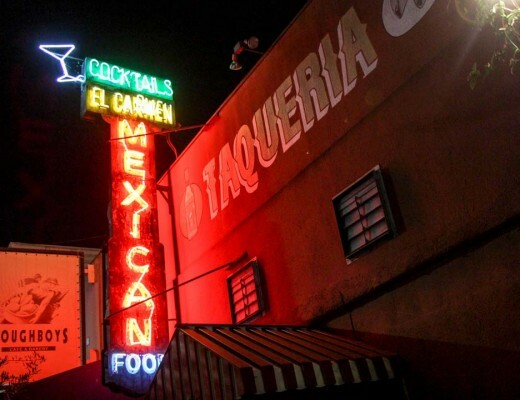 You’ll find cheap drink specials abound, and all within walking distance of each other. Affordable alcohol right next door to each other? What do you get when you pair perfectly priced booze with an afternoon walk down one of the chillest beach strands in SoCal? A serious need for a siesta. 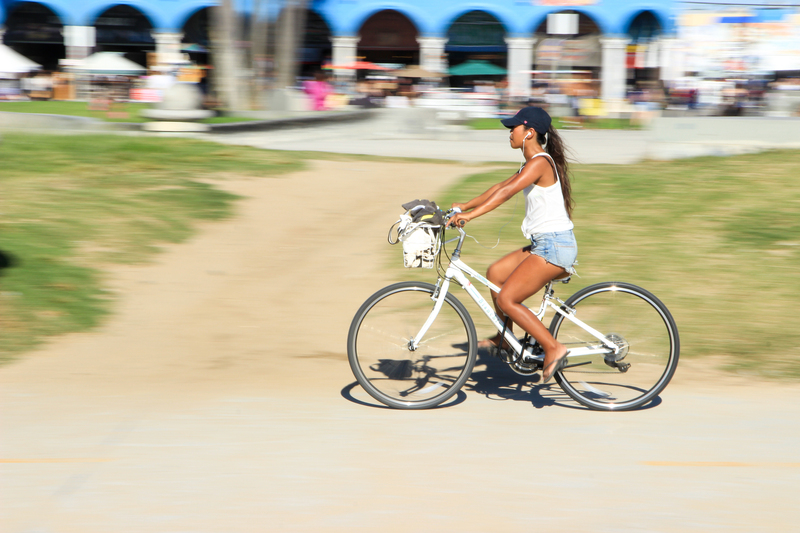 The South Bay Strand – the best place to bike bar hop. Perfect for… boozy beach bums. Get your daily dose of the 4 B’s of Summer (no matter what month of the year it is). Bros. Babes. Beach bums. And Booze. Pretty much says it all about Venice. Oh, and if you’re down for the 5th B, you can find it there too. If bud is your bud, then so is Venice. Grab a cheap beer at a packed bar like The Whaler or hit up the 2-for-1 specials at Cabo to get the date started. Check out the Venice Freakshow of AMC fame, skirt on over to the skate park or feast your eyes on some amazing street art. Too high on life to hike around? Kick back, relax, and join a drum circle. Never a shortage of skill and entertainment in Venice. Perfect for… a DIY Beach Date. Packed beaches. Crowded bars. The struggle is real. 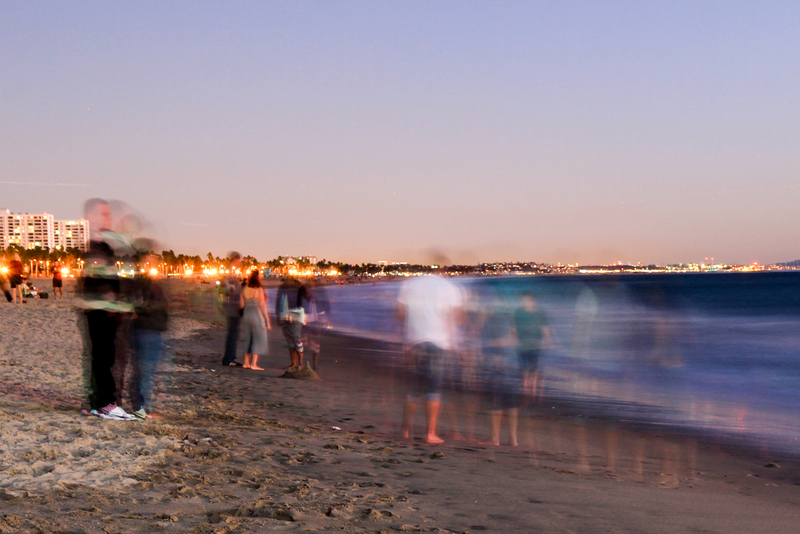 Ditch the LA scenesters and dodge the traffic by heading down to Dockweiler. This is one of the only beaches where you can blaze on the beach. No, I’m not talking about weed. I’m talking FIRE. In a sanctioned fire pit, of course. Pack an ice chest and get there early so you can snag a fire pit for a BBQ or bonfire and prepare to set a heart on fire. Nerd alert! I hypothesize you’ll find fantastic flora and fauna abound at these beaches. Malibu Lagoon is located in a protected state beach where Malibu Creek meets the Pacific Ocean, which means plenty of protected wildlife to gaze at as you walk the beach or hike a trail. Travel a bit further up to Leo Carillo State Beach for an extra scientific treat. 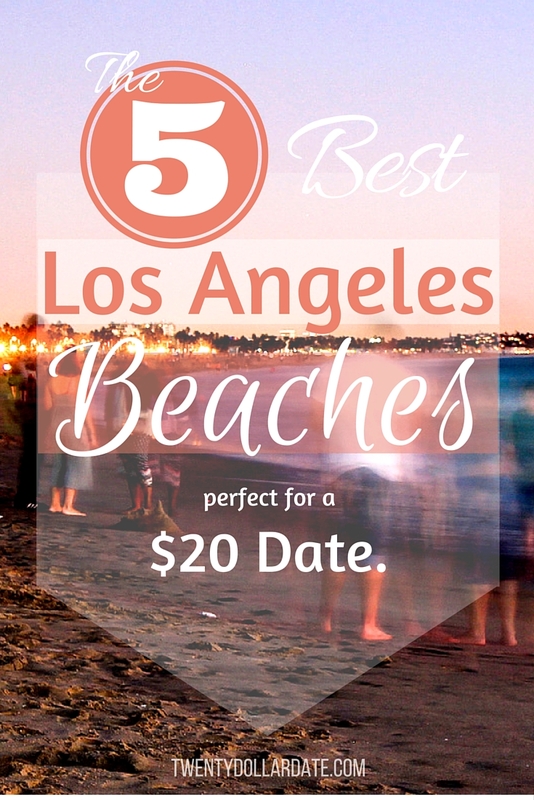 Time your beach date right for a sight you won’t find at any of the other beaches on this list. Starfish. Anemones. Urchins. 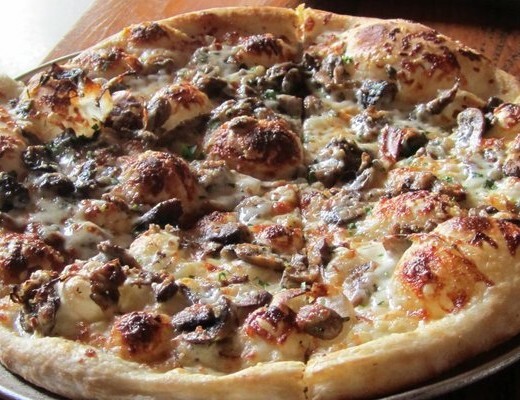 You’ll feel like you just found Nemo. Check out the times for low tide to see the tide pools here. Can’t afford Nobu? Just keep swimming… right on over to the tide pools down the street! Think these date ideas are totally beachin’? Share on social media! What’s your favorite way to spend a day at the beach?